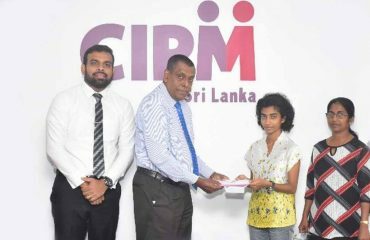 CIPM Sri Lanka, the Nation’s leader in human resource management held its Annual Graduation Ceremony on 5th of November at the BMICH in Colombo at which over 900 eager and enthusiastic HR professionals received their graduation certificates. This year’s graduation ceremony is by far the largest with 920 graduands in various streams and courses including National Diploma in Training & Human Resource Development (NDTHRD), Professional Qualification in Human Resource Management (PQHRM) and MSc. in HRM and Development offered by the CIPM Sri Lanka Business School receiving their graduation certificates. The first batch of students graduated at this graduation for the MSc. in HRM and Development offered in partnership with the University of Salford, UK. 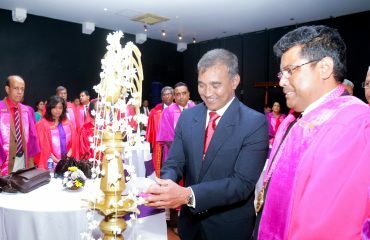 The Chief Guest for the event was Prof. Nalaka Jayakody, Vice President – CINEC Campus. 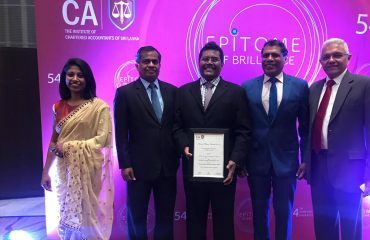 CIPM President Dhammika Fernando, Immediate Past President Prof. Ajantha Dharmasiri, Vice President Sarath Jayasinghe, CIPM CEO P. G. Tennakoon, Hony. Secretary – Ken Vijayakumar, Chairperson CIPM Business School Committee Jayantha Amarasinghe, Consultant Academic Affairs Prof. Prasadini Gamage, Director Business School Mr. G. Weeratunga, Director Operations – Business School Gopinath Subramaniam, members of the Governing Council, Past Presidents, Fellow Members, CIPM Members, Resource Personnel, Invigilators, a large number of parents and well-wishers were present at this grand occasion. CIPM Sri Lanka President Dhammika Fernando delivering an inspirational welcome address said “You all have chosen a great career path as HR will play a pivotal role in this 4th industrial revolution. HR will have to play a major strategic role in the workplace as the catalyst for change and it is more the reason why we need to produce more and more HR strategists in the future. As true pioneers, you will be able to be innovative and explore new opportunities”. “As innovative organizations seek new opportunities and drive change in this disruptive 4th industrial revolution, HR has a significant and critical role to play as the catalyst for this change. HR will rise up to this challenge and be a strategy maker to ensure that – people – the most critical resource in the organization are available, ready and motivated to chart the way forward” he added. CIPM Sri Lanka is the only professional HR body to be incorporated by an Act of Parliament. It has a membership of over 1200 HR professionals who are attached to both the private as well as the public sector playing key roles in the development and growth of their organizations. CIPM is affiliated to the Asia Pacific Federation of Human Resource Management (APFHRM) and also to the World Federation of People Management Associations (WFPMA) thereby providing regional and global opportunities for its members for purposes of learning, collaborating, growth and development. CIPM, being a professional institute is also a constituent member of the Organization of Professional Associations [OPA] Sri Lanka. 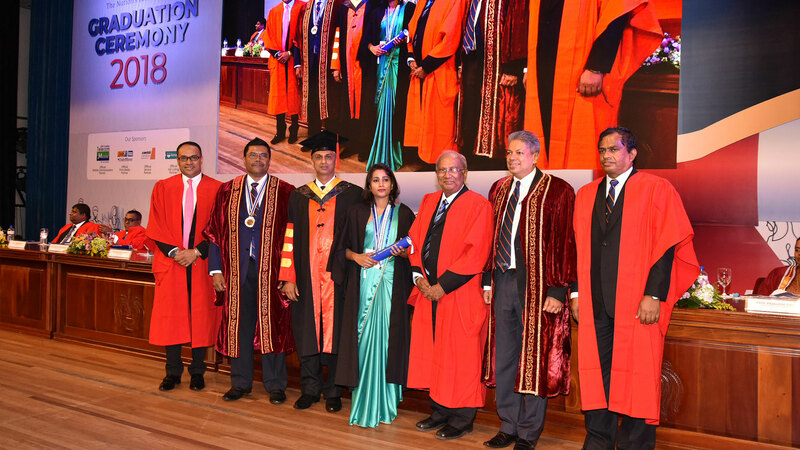 The prestigious Jayantha Jayaratne Gold Medal for Excellence in Performance in the PQHRM qualification was awarded to Don Malika Madhushani who was the highest scorer at this year’s graduation. HR is one of the most exciting and fast-growing management disciplines in the world, with disruption brought in by technology and changing lifestyles affecting the workplace as well as how and where people work. CIPM’s courses and programmes such as CIPM PQHRM has taken these developing changes into consideration and revamped the syllabus and course structure in order to provide maximum benefit and learning opportunities to the students. In fact, the CIPM PQHRM has been accredited by the APFHRM regionally accepted HR programme giving it a significant boost in terms of recognition. As the preferred learning partner for a lifelong career in HR, CIPM’s well-structured programmes provide students with many options for continuous learning, career growth, and professional development.